Officers filed a report for criminal damage to property in the 1600 block of McCain Ln in Manhattan on February 8, 2019, at approximately 7:30 AM. Officers listed Alpha Tau Omega; Tate Hassenflu, 18 of Manhattan; Matthew Cummings, 21 of Manhattan; Seth Pollock, 18 of Manhattan; Oscar Saferstein, 19 of Manhattan; Benjamin Hartman, 19 of Manhattan; Ty Alholm, 20 of Manhattan; Jakob Coacher, 20 of Manhattan; Luke Saville, 20 of Manhattan; Jake Sells, 19 of Manhattan; Brady Wang, 19 of Manhattan; Stephen Henderson, 19 of Manhattan; Justin Novak, 20 of Manhattan; Landen King, 20 of Manhattan; Patrick Schilly, 20 of Manhattan; Remington Dunlap, 20 of Manhattan; Marcel Bordenave, 21 of Manhattan; and Daniel Faust, 21 of Manhattan as the victims when it was reported an unknown suspect damaged a light fixture inside the house and multiple vehicles in the parking lot. The estimated total loss associated with this case is approximately $1,700.00. Police ask that anyone with information contact RCPD or the Manhattan Riley County Crime Stoppers. Using the Crime Stoppers service can allow you to remain anonymous and could qualify you for a cash reward of up to $1,000.00. Officers filed a report for theft in the 2900 block of Vinewood Pl in Manhattan on February 8, 2019, at approximately 10:50 AM. Officers listed Gale Simmons, 84 of Manhattan as the victim when it was reported an unknown suspect took her wallet containing miscellaneous cards, paperwork, and cash. The estimated total loss associated with this case is approximately $2,021.00. Police ask that anyone with information contact RCPD or the Manhattan Riley County Crime Stoppers. Using the Crime Stoppers service can allow you to remain anonymous and could qualify you for a cash reward of up to $1,000. Officers filed a report for criminal damage to property in the 1700 block of N Manhattan Ave in Manhattan on February 8, 2019, at approximately 6:20 PM. Officers listed TD. LLC as the victim when it was reported an unknown suspect damaged light fixtures, blinds, and other miscellaneous officer materials. The estimated total loss associated with this case is approximately $500.00. Police ask that anyone with information contact RCPD or the Manhattan Riley County Crime Stoppers. Using the Crime Stoppers service can allow you to remain anonymous and could qualify you for a cash reward of up to $1,000.00. Desiray Skrdlant, 22 of Manhattan was arrested in the 2700 block of Moehlman Rd in Manhattan on February 9, 2019, at approximately 4:20 PM. Skrdlant was arrested on the offenses of possession of a controlled substance, criminal restraint, and intimidation of a witness or victim. Skrdlant was issued a total bond of $5,000.00. Skrdlant was not confined at the time of this report. Jennifer Cordray, 27, of Manhattan was arrested while at the Riley County Police Department on February 10, 2019, at approximately 12:55 PM. Cordray was arrested on a Riley County District Court warrant for failure to appear. Cordray was issued a total bond of $6,000.00. Cordray was still confined at the time of this report. 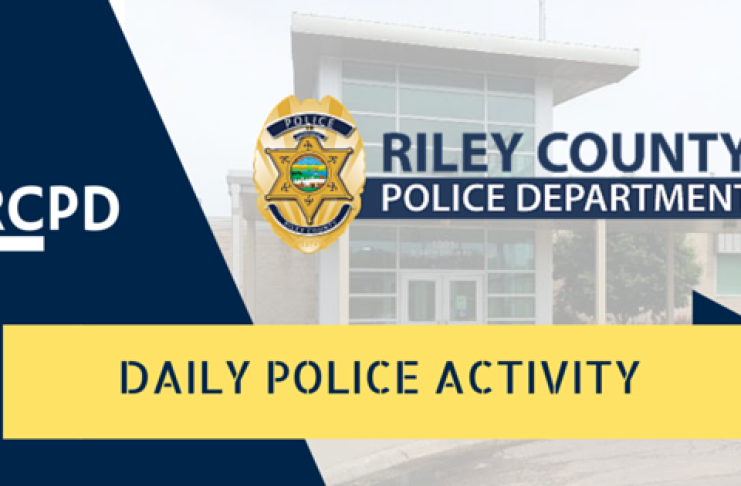 Amber Corson, 36, of Auburndale, Florida was arrested while at the Riley County Police Department on February 10, 2019, at approximately 4:15 PM. Corson was arrested on a Riley County District Court warrant for theft. Corson was issued a total bond of $5,000.00. Corson was still confined at the time of the report.